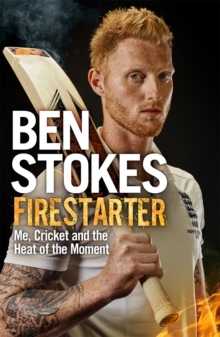 Ben Stokes is not cast in the same mould as the vast majority of English cricketers. Fiery, combative, gladiatorial - he plays the game hard and with great gusto. He is an all-rounder who bats, bowls and fields at full throttle. Some opponents feel threatened by his physical stature and aggressive brand of cricket. Stokes simply doesn't back down, smashing the next ball for six, bowling his 90 mph "chin music", or taking a breathtakingly full-stretch catch at backward point. Whether it's thrashing the fastest ever Test century at Lord's or the quickest ever Test double-hundred by an Englishman (against South Africa at Cape Town, in January) or destroying the Australian batting at Trent Bridge, Stokes plays the game he loves with his heart on his sleeve and with 100% effort and commitment. Cricket fans adore him for it. His very first book focuses on the pivotal moments in his life and career so far. These episodes are vibrant, emotional, poignant - revealing the man in three dimensions, red in tooth and claw. From being forged as a young boy in New Zealand, to moving to Cumbria at the age of 11, to playing county cricket for Durham and then onto the England team, this book provides a riveting insight into one of the most exhilarating figures in sport today.